While Blythe’s devotion to family life is profound, the amount of literature surrounding her career and contributions to cinema has been lacking. Though one of Blyth’s most iconic roles entailed portraying the shrewish Veda Pierce alongside Joan Crawford in Mildred Pierce, Blyth is quite the opposite in her demeanor off-screen. 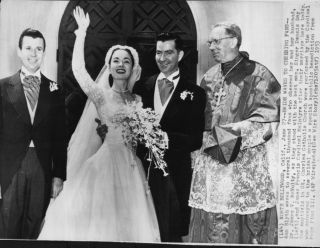 A devout Roman Catholic and widow of Dennis Day’s brother, Dr. James McNulty, Blyth raised five children with her husband, while also working in a variety of musical and dramatic films. Blyth shines as a stunning beauty and talent in her body of work across several mediums, but the majority of films in which she starred were, unfortunately, lackluster. Despite the quality of a given film, Blyth dedicated herself to the roles she played, and has left her mark upon American cinema as a result. 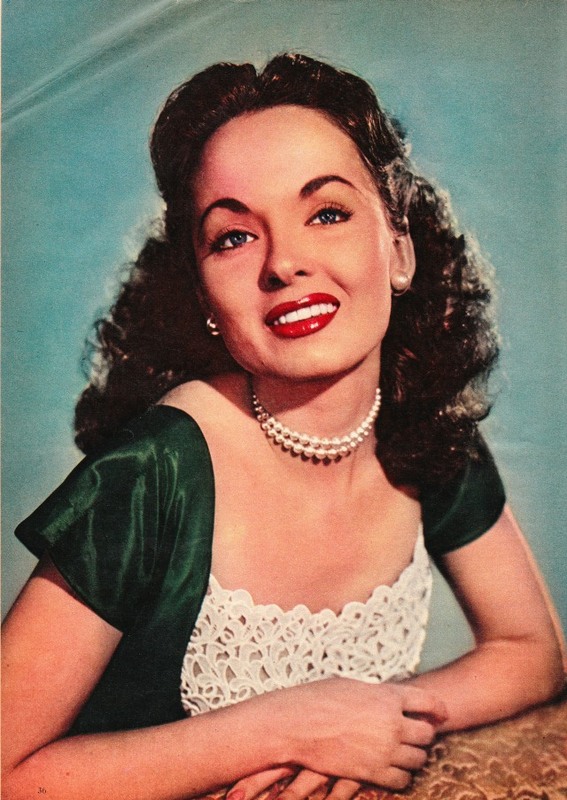 Jacqueline T. Lynch’s Ann Blyth: Actress. Singer. Star. is an extremely well researched undertaking that is a must for all Blyth fans. 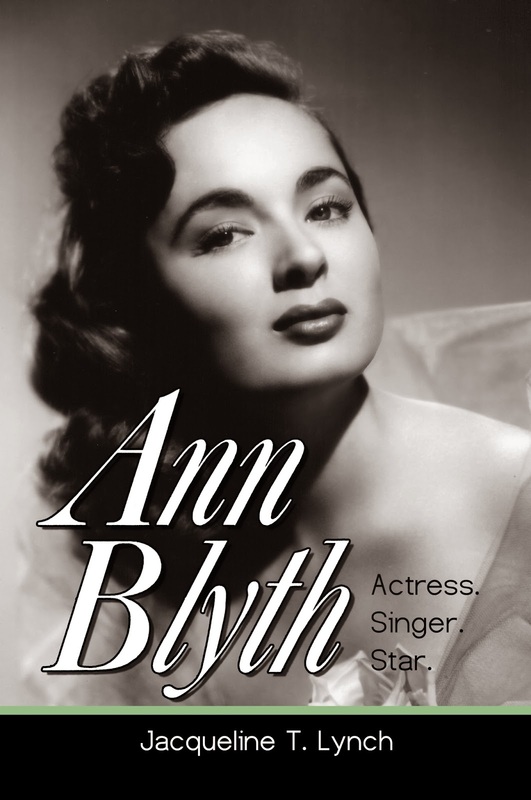 Lynch’s work is the first biography detailing the versatile career of Ann Blyth. In this work, Lynch depicts Blyth’s early career in radio, her Broadway appearances, her powerful presence as a lyric soprano, thorough descriptions of her films and Hollywood career, and additional moments in television, concerts, and film festivals. All the while, Lynch’s book is brimming with rare photographs of Blyth at various moments in her profession, while always glowing as one of Hollywood’s most exquisite talents. 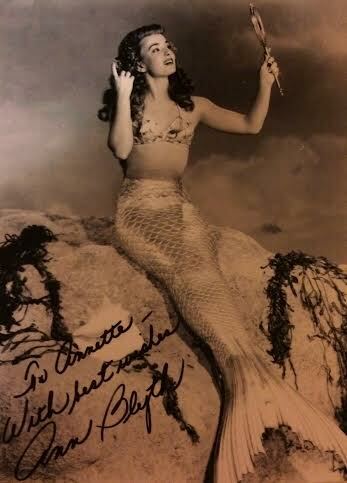 My first exposure to Ann Blyth was her darling portrayal of a mermaid in the 1948 film Mr. Peabody and the Mermaid. With a screenplay by Nunnally Johnson, based upon the Guy and Constance Jones novel Peabody’s Mermaid, Blyth’s mermaid interrupts the vacation of a middle-aged psychiatrist (played by a flabbergasted but charming William Powell) when he goes fishing and inadvertently catches a mermaid. Chaos ensues in this light comedy, as Powell’s on-screen wife thinks of her as nothing more than an overgrown fish. Although Blyth has no spoken dialogue in this film, she maintains a powerful presence throughout, emoting with facial features and body language alone. Since Mr. Peabody and the Mermaid is one of my favorite films, I was delighted to see Lynch portray Blyth’s experiences with making the film. Through Lynch’s efforts, I learned of the friendly rapport between the two leads, despite a thirty-six-year age difference. While Blyth was only 19 at the time, Powell was 55. However, Powell’s penchant for comedy and wisecracking alleviated any potentially awkward moments, and he depicted his character’s midlife crisis with ease. 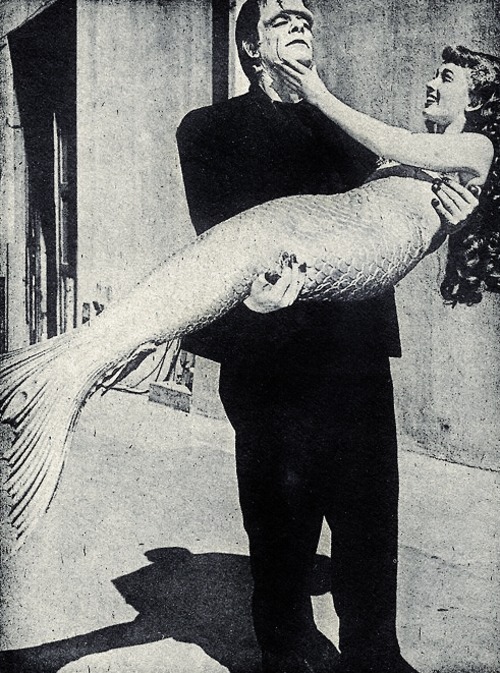 Though playing in comedic roles was easy for Powell, the opposite could be said for having to carry his co-star for a significant portion of the film, thanks to her four-foot-long mermaid tail. The creation of Blyth’s mermaid tail took several hours, virtually turning Blyth into a 5’2” arts and crafts project. Consequently, Blyth would have to be carried in the arms of crew members, or while lounging upon a wooden plank, in order to be transported onto the set. Ann Blyth and Glenn Strange (who was filming as the Frankenstein monster at the time). It takes a village! 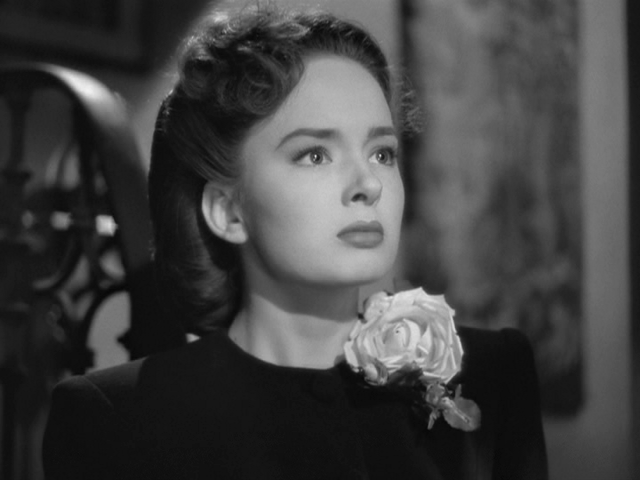 Ann Blyth: Actress. Singer. Star. is slated for release on June 18th, and is not to be missed. A wealth of information, this work will not disappoint classic film fans, as well as present and future Blyth fans. Ann Blyth is a wonderful talent and important figure of Hollywood’s Golden Age. She remains a remarkable person, who is still devoted to her family and admirers. To this day, Blyth appears in film festivals across the nation, and continues to correspond with her many fans. Signed publicity photo from my personal collection. 2 Responses to Ann Blyth: Actress. Singer. Star. Reciban un cordial saludo , He admirado desde mucho tiempo su excelente trabajo en las películas que realizo en la época de oro del cine así como el gran talento que tiene como cantante, Dios bendiga a esta bella dama que canta tan hermoso.